The winner of the Gold Inky is decided by Gold Member, that rollerskating Dutch chappy from Austin Powers. NOT. 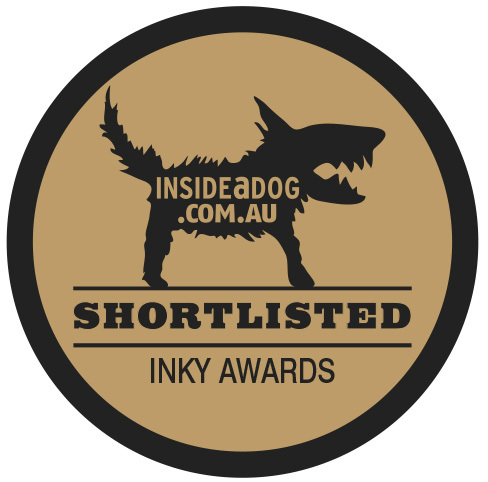 No, the winner is decided by vote, so if you are a whipper snapper under the age of 18, it’s time to surf the internet wave over to http://www.insideadog.com.au/page/inky-awards and vote. Even better, vote for The Sky So Heavy. Okey dokey, I’m done with my campaigning for the moment. Now I’m going to hop on a plane to the Melbourne Writers Festival right after I go and pick up a ton of Lego off my living room floor and scrape up the squashed sultanas that my toddler mashed into said floor, because that’s the kind of glamourous writerly-life I lead, motherfathers. *I know you’re not supposed to start a paragraph with ‘And then’, okay? Give me a break, I just published a novel and the words ‘And then’ appear in it hardly ever. **I have always used the phrase ‘in my book’. Now that I have written actual books this has lead to a punny minefield that is both dorky and ADORABLE. Good Luck with the Inky’s. Wish I could vote but I’m so many years over the voting age I’m feeling ancient right now!